The UK solar market is beginning to defy difficult conditions as developers emerge with new, post-subsidy models. Yesterday Solar Media’s head of market research Finlay Colville and analyst Lauren Cook presented a webinar which updated the audience on the UK solar and storage markets, with Colville insisting there was life yet in UK solar. Colville admitted that the UK market was now “very different” to the one which boomed throughout the subsidy-driven years of 2010 – 2016, but said it was now beginning to face the “very real prospect” of subsidy-free developments coming to the fore. “Much of the resurgence of UK solar is being kept below the radar for now, especially on the large-scale side, with a select group of project developers identifying 40-50MW sites for subsidy-free potential in 2018-2020. Indeed, the only limit on the size of sites being scoped today is coming from National Grid legislation relating to >50MW generators,” Colville told SPP. The UK’s utility-scale market perhaps remains the most interesting considering the pace at which the market moves. Having seen its last Renewables Obligation grace period deadline come and go earlier this year – more than 100 solar farms were connected in Q1 2017 – developers have quickly turned their attentions to developing solar without subsidies or incentives. Colville explained that activity in screening and scoping opinions for solar farms – all of which will now be developed without incentives – has increased of late and revealed he expected the first subsidy-free developments to come on line before the end of the year. Many of these will farms are likely to be paired with storage assets and Lauren Cook, analyst and author of Solar & Storage Market Research’s battery pipeline report, noted significant interest in the build-out of storage assets in the UK, particularly given National Grid’s EFR and capacity market schemes allowing asset holders to stack revenues and build businesses cases. Activity in Northern Ireland under the NIROC scheme is also up, reaching “new highs” in recent months. But outside of the UK’s fields and on its rooftops, the residential market has perhaps been hardest hit by the reduction in subsidies. The new feed-in tariff regime has seen significant downturns in deployment under the scheme, resulting in large quantities of unused capacity within each of the three deployment bands. But Colville suggested that the scheme’s deployment – Ofgem publishes installation figures each week – is no longer the right metric to gauge activity within the UK solar industry. This, he added, was down to the potential for more solar deployment occurring outside of the regime. 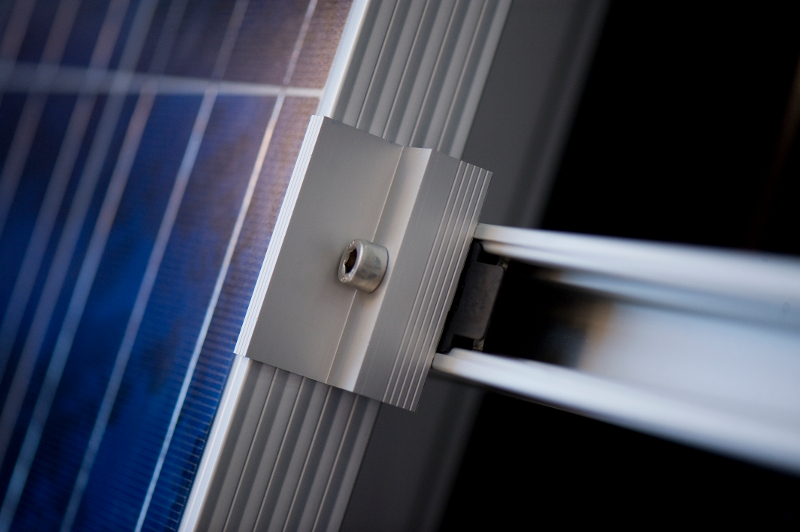 Two sub-sectors in particular have been raised as being of particular interest to the solar sector; new build and council or local authority installs. While a number of installers have enjoyed success in partnering with construction firms like Wilmott Dixon and Taylor Wimpey, public sector solar continues to be of significant interest given reduced expectations for returns and payback periods. The UK market is also seeing interest in new solar business models from housing associations, perhaps best typified by the model launched by Solarplicity which Solar Power Portal reported on earlier this month. These are only likely to be driven further by continually falling module prices, which Colville said were nudging towards the $0.40c/W price across the globe. The commercial rooftop solar market meanwhile remains a slow burner and, to that extent, Colville said activity remains broadly along the same levels as what was seen in the previous two years. Corporate entities remain interested in solar and recent research conducted by EEVS and Bloomberg New Energy Finance found that companies were prepared to spend more and expect longer payback periods on energy efficiency investments. Activity across the UK solar spectrum pointed towards continuing activity in the sector, albeit in far different guises than the market might have been used to. Solar Media’s in-house market research team continues to track solar and storage activity in the UK. All UK solar farms in the pipeline for build-out in the next 12-24 months, or being scoped for planning submission in the next few months, are available in our UK Ground-Mount Opportunity Pipeline report. Full audit trails of all completed UK solar farms are contained in our UK Ground-Mount Competed Assets report, updated constantly with secondary transactions. For those looking to identify all the storage sites (completed and planned) in the UK, including the pipeline of more than 2.8 GW, our UK Battery Storage Project Database report can be used. Full details of the 5.4 GW of solar farms in the pipeline ahead of the release of the solar policy announcement in the Republic of Ireland are shown in our Republic of Ireland Solar PV Opportunity Tracker report also. To get more information on these reports, please email here.